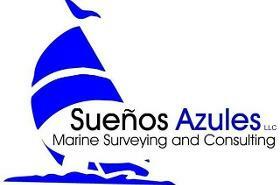 The websites below are reputable marine suppliers that we have had good experiences with. We as boat owners have dealt with these suppliers in the past as customers. Click on their logos to go straight to their websites. West Marine is the worlds largest recreational boating supply company. The company offers over 100,000 products for sail and power boat owners. There is an online store that delivers to your home (for a fee) or to your nearest store for free. A detailed online catalog can be searched by keywords or part numbers. A great site to find those hard to find boating items. Boat Owners Warehouse to us is the Home Depot of the boating world. It is a great place to get just about anything you need for any kind of boat project. Boat Owners Warehouse features an online store, free UPS shipping on certain items, and they have four store locations in South Florida. You can order their free catalog online. You will also find their prices to be very reasonable. Boat Bandit is a great discount marine gear supplier that sells products for both sail and power boats. Excellent pricing and shipped right to your door. You'll find great deals in here from all of the major brands. Bass Pro Shops are located throughout the United States (four stores are located in south Florida). If you go to one of these stores plan on spending a few hours there just looking at all the merchandise they have on display. They have a great selection of fishing gear, marine gear, camping gear, hunting gear, and outdoor clothing. This supplier has just about anything you can think of for your outdoor or marine adventures. They offer online shopping, free catalogs, customer reviews on products, useful links for hunting and fishing licenses, and more. IslandSurf.com is an online surf apparel store that includes everything from wetsuits to tide watches for your boating, surfing, and beachwear needs. Some of the most common name brands in boating and surfwear are available such as: O'neill, Quicksilver, Billabong, Reef, Roxy, Rip Curl, Hurley, Volcom, Islanders, Costa Del Mar, and Freestyle. The site has an online shopping cart, great customer service, a 365 day return policy, a speedy exchange policy, free shipping on most orders over $40.00, and fast shipping (usually within a week if the items are in stock). The prices are fairly reasonable and there is a section on the site that offers frequently updated discount sales on various clothing and gear. IslandSurf.com is a member of "1% For The Planet" which is a global affiliation of businesses that donate 1% of their sales to enviromental organizations worldwide.